The 2017 Chrysler Pacifica Touring-L proudly carries on Chrysler's tradition of creating luxurious family minivans that offer a superior level of comfort, ride quality, and features. 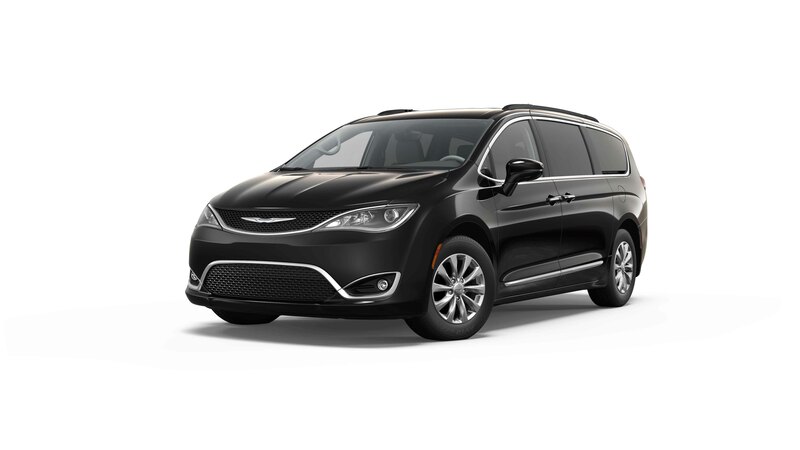 The Chrysler Pacifica Touring-L is the perfect minivan for families of any size, whether you're making your way through Glen Carbon, or on a longer drive near Belleville, IL, Florissant, MO, or Edwardsville, IL. Spacious comfort, modern interior features, and a limousine-like ride all combine to ensure a top-tier driving experience that you and your family will always look forward to. Wherever your trip takes you, the 2017 Chrysler Pacifica Touring-L makes the most of every mile. 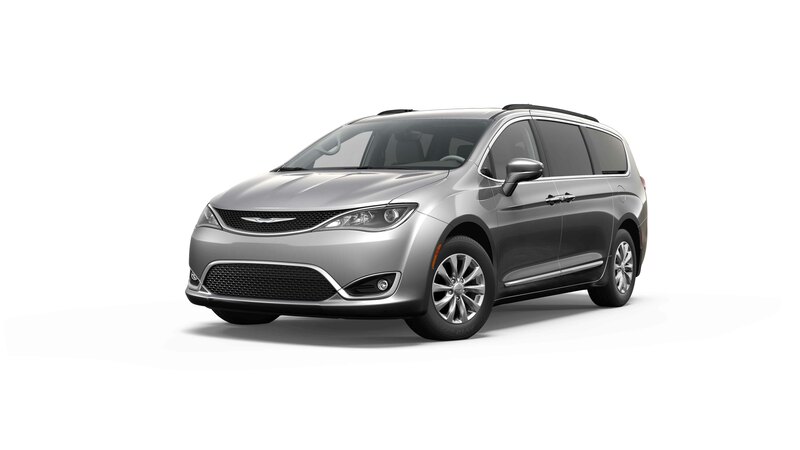 If you're looking for somewhere to test drive a Chrysler Pacifica Touring-L near Bellflower, IL, come to Cassens and Sons Chrysler Jeep Dodge Ram. We have the perfect Pacifica for sale in Glen Carbon, IL that is suited for you and your family's needs! Our dealership caters to the diverse auto needs of the Glen Carbon area and beyond, and our expansive inventory of both new and pre-owned Chrysler's is the best you'll find in the state. Come by and meet our helpful staff- we'd love to help you find the best deal on a Pacifica Touring-L in Glen Carbon, IL. Stop by our lot to view all of our vehicles, or feel free to contact us at the dealership with any questions you may have about our inventory or financing. The 2017 Chrysler Pacifica Touring-L's exterior is proof that minivans don't have to be dull. The Touring-L's smooth, wind-swept contours and refined front end design combine to create a regal aesthetic, but also with an added sense of sportiness and edge that hints to the minivan performance and luxurious features. 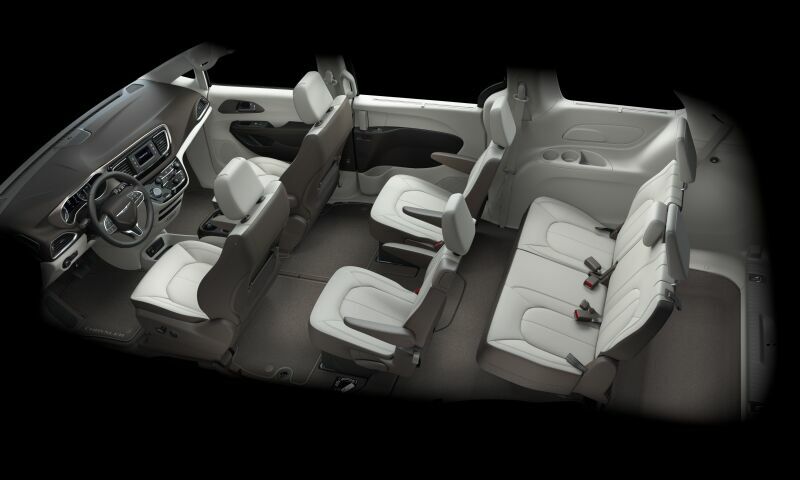 The cabin of the Pacifica Touring-L offers several conveniences that complement its expanded legroom and plush, ergonomic, leather-trimmed seating, such as a three-zone climate control, a power liftgate, and other entertainment capabilities that make even the longest trips more enjoyable. The Pacifica Touring-L's 5-inch touchscreen lets you control everything from phone calls to music, and includes a one-year subscription to SiriusXM Radio. Stow 'n Go seats allow for easy storage of personal items and anything else you and your passengers would like to have for the drive. The 2017 Chrysler Pacifica Touring-L may be a minivan, but it's performance on the road will surprise you. A 3.6-liter 24-valve VVT engine with ESS puts out 287 horsepower and 262 lb-ft of torque, resulting in plenty of speed and acceleration on command, along with a best-in-class towing capability that isn't at the expense of your overall fuel economy. A track-worthy front independent suspension provides a smooth ride on even some of the roughest roads, while Electronic Stability Control helps the Pacifica Touring-L to both sense and anticipate any changes occurring on the roadway, monitoring its steering motion and allowing you to easily navigate all the twists and turns that lie ahead. If you'd like to browse a superior 2017 Chrysler Pacifica Touring-L inventory near Belleville, IL in person, come see us at Cassens and Sons Chrysler Dodge Jeep Ram today! We'd love to get you behind the wheel for a test drive.